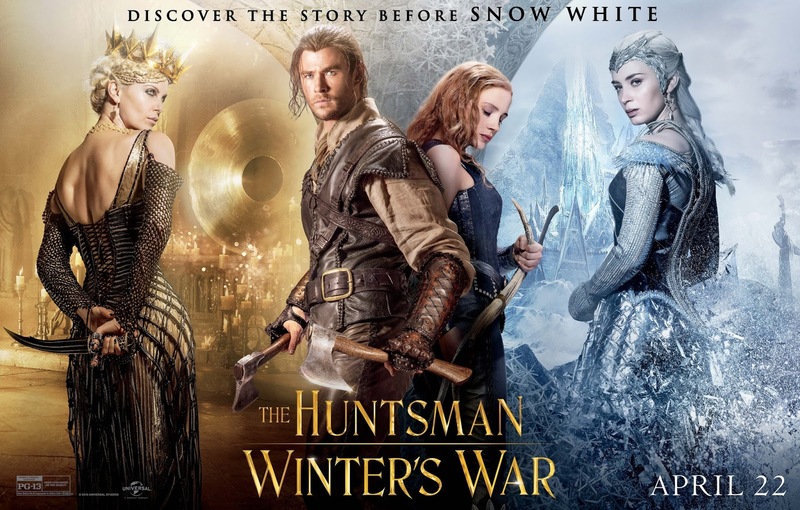 No doubt you've heard that the prequel/sequel of Snow White & the Huntsman, Huntsman: Winter's War was... not great. 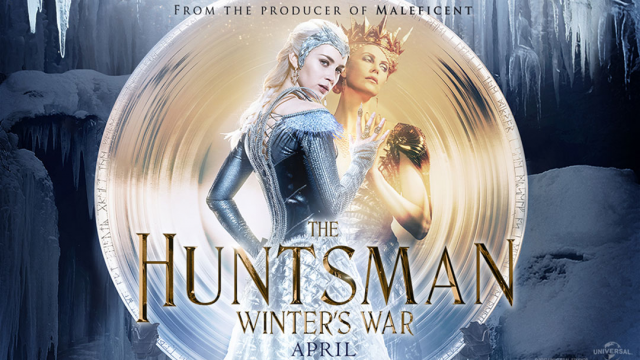 The first Huntsman was on fairly shaky ground to begin with (apparently box office takings don't agree with that assessment but it's generally not considered a truly good movie by critics and fairy tale folk, insert many reasons here) and this was supposed to expand the 'mythology'/story, focusing on Ravenna and the Huntsman. 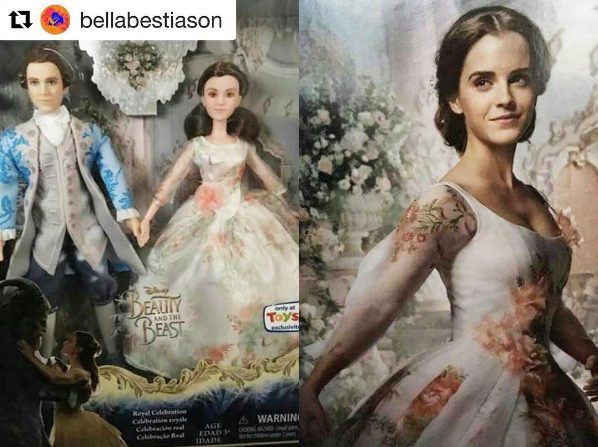 How was this supposed to be any good? Charlize Theron signed on for this second film, which at least promised an excellent rendition of a baddie, (and a baddie dressed again by the Queen of fantasy couture Colleen Atwood). If nothing else there was going to be some lovely things to look at. 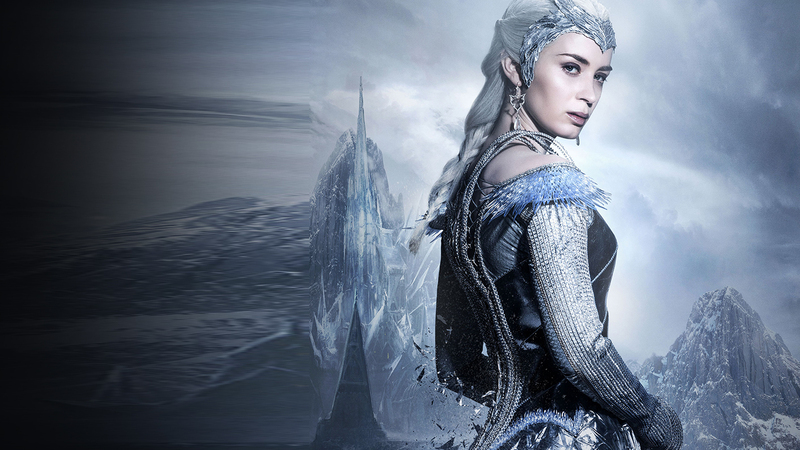 Box office success of the first film ensured a decent budget for Winter's War and the cast and crew are filled with seasoned pros. 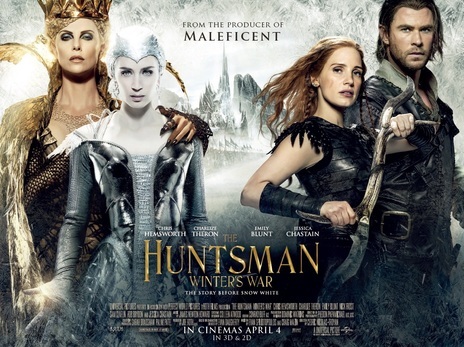 So we were on board to watch it on DVD - for Charlize and the costumes. Then Emily Blunt signed on. Cut to the impending Winter season, and we were looking for new and fresh Winter fantasy and fairy tale images and imagery. Someone mentioned: "Have you seen Winter's War? 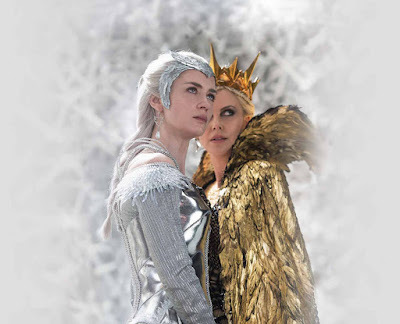 They put a bit of effort into the Snow Queen/Ice Queen portrayal - it'd be worth a viewing for you at least." By then it was cheaper to buy it than rent it so it was added to the Once Upon A Blog movie library. We looked up reviews, steeling ourselves for where to fast forward and where to hit the play button again, and found something surprising: while the film still wasn't considered good, people were raving - RAVING - about Theron and Blunt's performances! 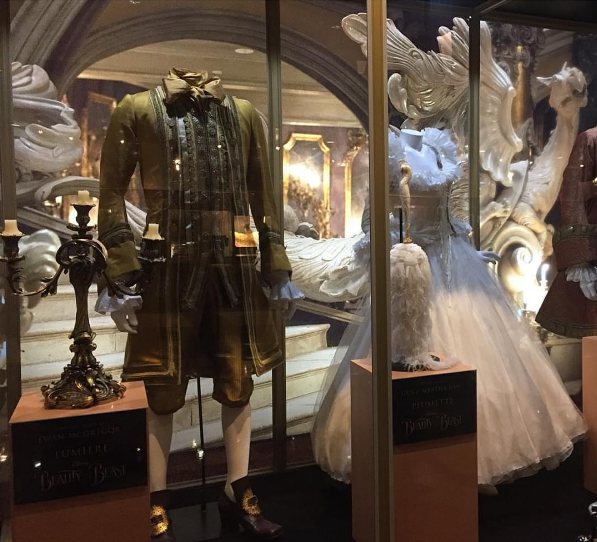 Colleen Atwood's costume artistry got more than a passing mention too but people were loving the two queens. Yes - overall it is not 'great' but there is much about this that we wish we'd paid the price of admission for, just to see on the big screen. 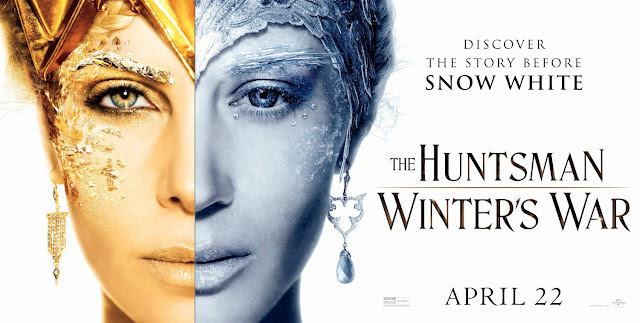 The Snow White story and character references were clunky, awkward, mostly ridiculous and largely unnecessary. This should have just been a stand alone story set in the same world. In fact the Snow White connection was obviously awkward and embarrassing. Mentioning her was a key weakness. 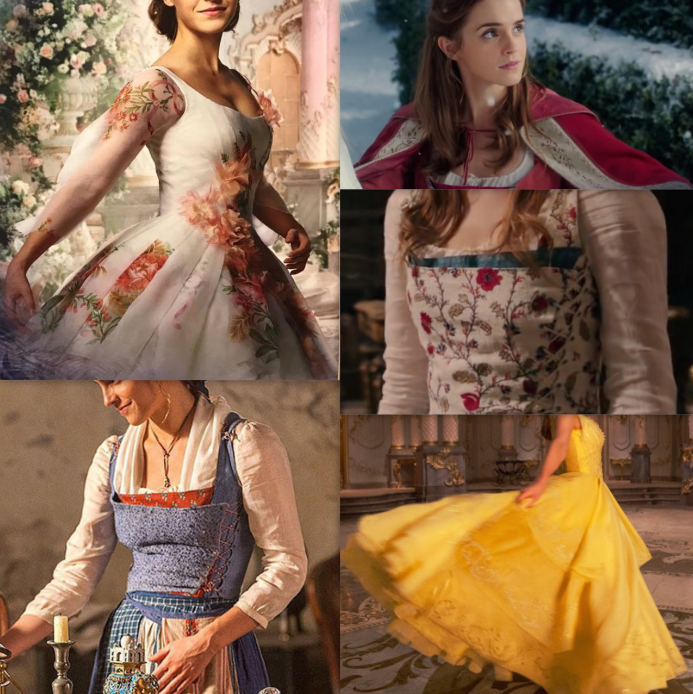 Not having Kristen Stewart, while understandable, meant not having the iconic character - however transformed - of Snow White being in her own tale. Being reminded of her mythic significance, and absence thereof, put the film at a disadvantage that all the brilliant acting, writing and wonderful direction had no way of avoiding. We're not sure why they didn't just wipe that part of it clean and ignore it - it would have been neater and made more sense. 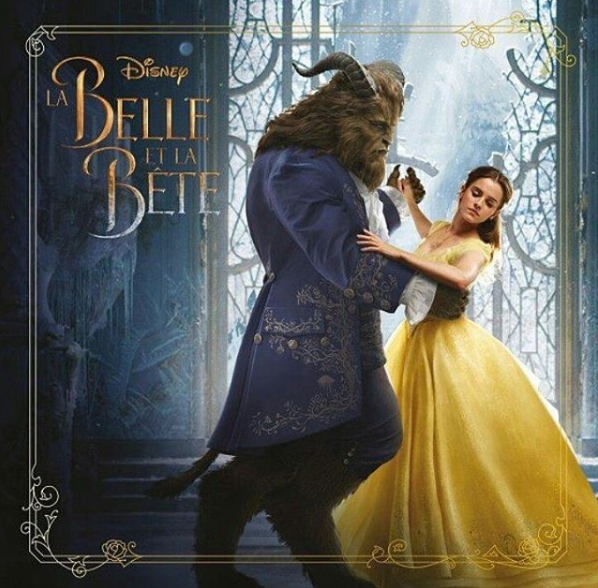 It's a prequel and sequel, with that awkward Snow White mention in the middle and as such, feels shackled by it's association with the first movie, rather than inspired by it. The Huntsman, Eric, and woman, Sara (husband and wife, referred to in the first film) were clearly supposed to be the main protagonists but they felt like the B-story, with too much time wasted on them. We could have done without the dwarves, though we understand why they were included. Some sort of levity was very important. This part just wasn't done well and was more embarrassing than funny due to how it was done, exacerbated by not using real little people, except as stunt doubles. 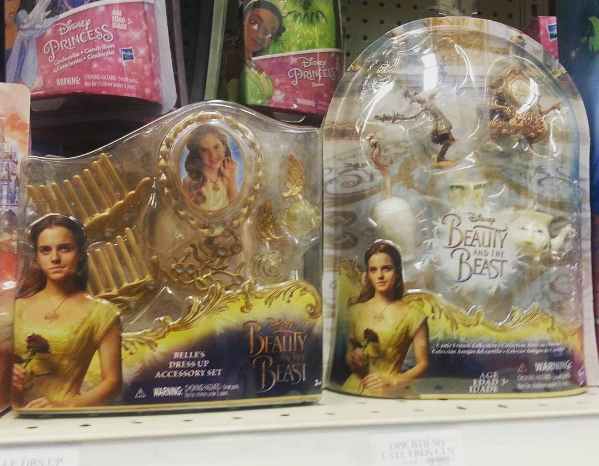 The key women - Freya and Ravenna /Mirror, were underutilized, and clearly meant to be the B story. They were, however, far more compelling than the love story that was supposed to be the driving force of the movie. It was very different love that drove the film and the romance felt almost shallow in comparison. So, some pretty big cons, right? Overall beautiful! The vision for this film was solid, tight and artistically stunning - truly. You could pause almost anywhere in the movie and be treated to a lovely still frame. It was hard to believe this was from a first time director. The film showcases the power of the feminine, both for good and for ill, and in a variety of forms. As far as the Bechdel test goes, this one passes with flying colors! 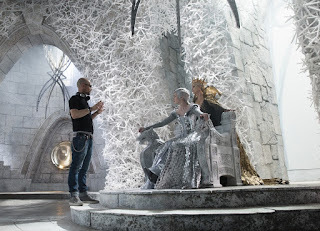 Colleen Atwood's costumes for the two queens in particular were just as stunning as the first film's; very fresh takes on ice and mirror imagery and details (if the leads hadn't been so incredibly strong the gowns would have overwhelmed the actresses and stolen each and every scene but they didn't - they worked as perfect props for the characters and actresses). 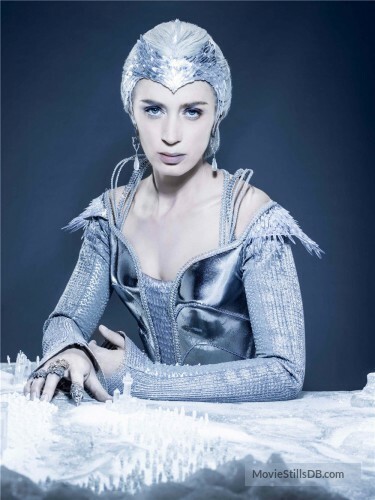 Emily Blunt as Freya the Ice Queen - she was heartbreaking and completely believable - both in her pain and in her power. Not your average evil, her story was devastating, relate-able, piercing and Blunt was her. 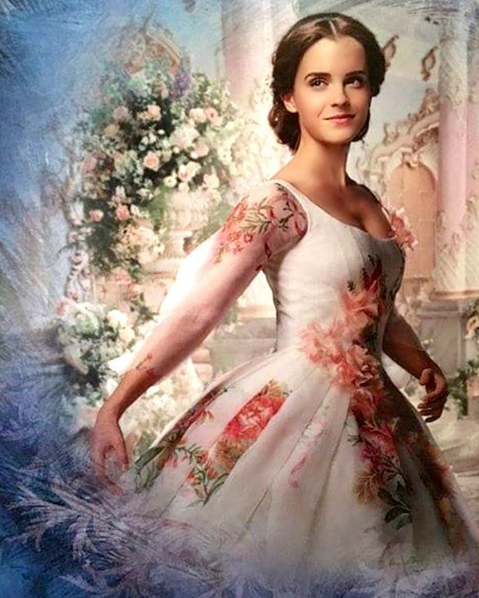 And she looked like she made every ice magic effect actually happen, as if there was no CG. Blunt and Theron together were absolute magic (at least until the 'Mirror Queen' turned on the Ice Queen - the extreme effects unfortunately pulled us out of the scene). I don’t know why this movie got trashed the way that it did because... this was much more engaging and satisfying than I initially thought it would be. ... 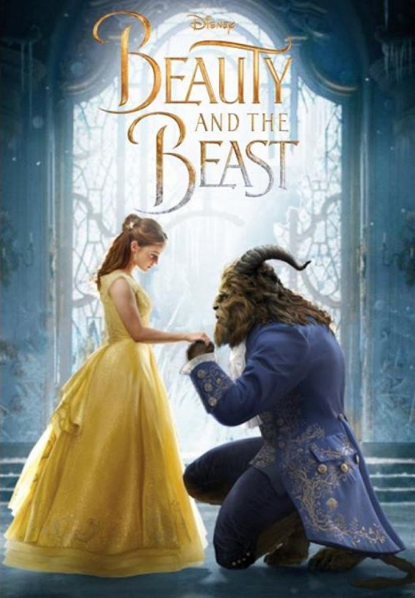 I can actually appreciate this movie more than the first because guaranteed action, awesome female representation, and a visually stunning two hours aside, it’s such a fascinating exploration of self love, hatred, love and sacrifice, power and control, trust and loyalty, beauty, selflessness, and the threat of others being greater than we are. 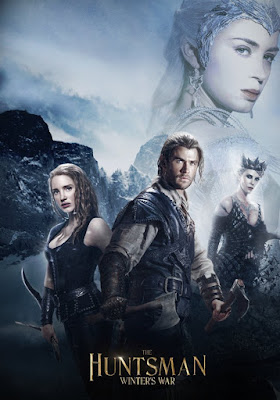 We explore these themes and more in various ways through the sibling relationship between Freya and Ravenna and the romantic relationship between The Huntsman aka Eric and Sara. Could all of this have been executed better? Yeah, sure. But to say that it didn’t accomplish at least emotionally engaging the viewer and striking a chord in them is to ignore all of the good parts of the movie. 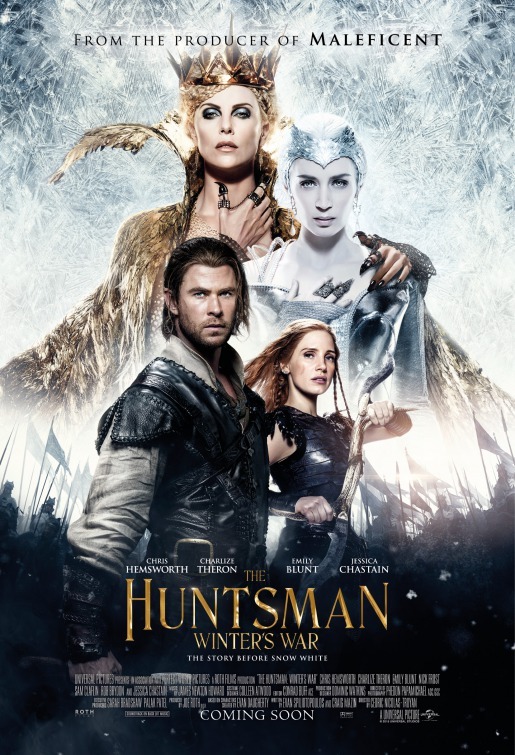 If they could just have edited out all the Snow White references and re-edited the Huntsman/woman roles to shift the focus back onto Mirror Versus Ice, it would have been even more powerful. As it was, we kept getting distracted from truly great scenes to follow along on what felt unimportant business, before being allowed back to the main story. While this was continually frustrating, the 'great scenes' quickly drew us in and helped us forget we'd been irritated. The effect was feeling like the movie was really just "off-kilter". So what about Freya the Ice Queen as compared to the formidable Snow Queen of HCA's tale? She holds up incredibly well. This could largely have been the story of the Snow Queen's rise to power and her iconic fairy tale role, with the Kai and Gerda story happening once she was established. (In fact the Kai and Gerda story could have been easily adapted to the 'hunter children' plot and been a truly interesting and different interpretation.) 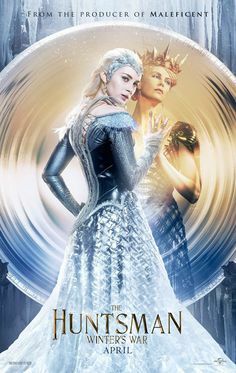 The only problem with Freya being the Snow Queen of fairy tales is that the time frame of her life was still primarily human and this story didn't allow for any form of her 'force of nature' immortality. But back to the parallels. 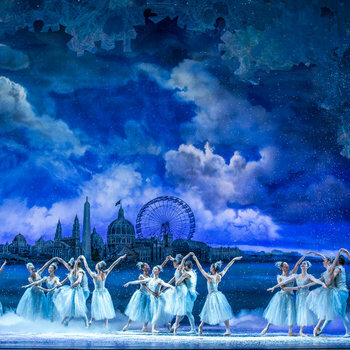 The main one, apart from their being a queen of frost, ice and snow, is the juxtaposition of mirror and ice. Again, to our minds, it would have made for a unique and interesting variation on the Snow Queen's mirror, with or without goblins, but from what we can gather the Snow Queen tale wasn't on the radar of the writer/s for Winter's War. 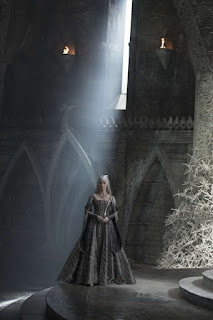 Ravenna is actually two characters in this movie: the Ravenna/evil queen we see in the Snow White movie and the Mirror, an inhuman incarnation of herself (not truly alive but all the darkness and magic of the original queen). As Mirror, Ravenna is even more malevolent, if that's possible, and that has its own implications. But even with all that power and presence, it's really Freya's story of love, loss, misguided power and the tragedy of a life of great potential gone wrong, having a damaging ripple effect, that is the heart of the film. 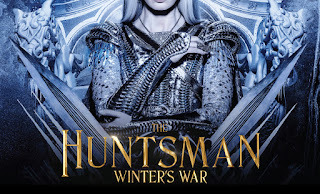 We could explore the relationship and ideas of Eric (the Huntsman) and Sara (the Huntswoman who doesn't need rescuing) but although it should be a compelling and an interesting twist on the Kai and Gerda story it just doesn't inspire interest or investment. This is partly due to the direction of their story but counterbalancing the loss Freya experiences (and the heart wrenching performance Blunt gives in that moment) is nigh impossible with the scenes given to them - not even recognizing true love can compare and failing to recognize that is both a writing and directing failure. So the outcome is: if you take away half a star or so for every negative point, (all of which are not insignificant) you get an understandably low-star rating. But we'll say it again: even if you have your finger on the fast-forward button to avoid wading through most of the cons, it's still worth watching for the pros. 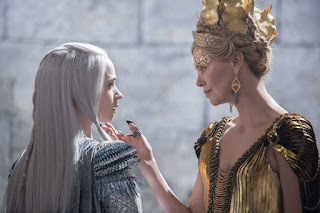 If the scenes and emphasis had been re-worked to acknowledge Freya and Ravenna as the A story, the two performances and their compelling support from costumes to photography and more, could have saved this film from the flop it's generally considered to be. In fact, it may have surpassed the audience popularity (and critic assessment) of the original Snow White and the Huntsman. 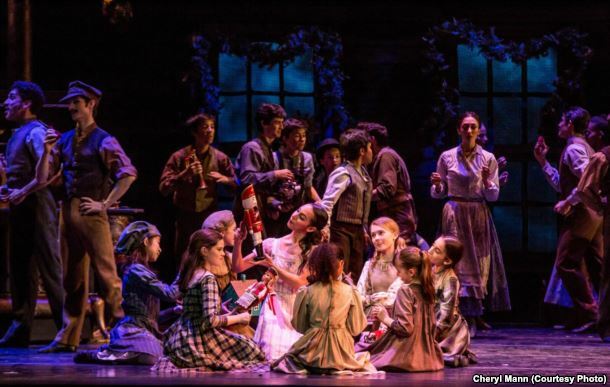 Whatever the case, it's great fodder for fairy tale folk - and fantasy film folk - to mull (and perhaps mutter) over during the Winter and holiday season. Chances are good you will find something in there you like. The Huntsman Winter's War Costume B-Roll & Colleen Atwood discussing the costumes and how they reflect on the characters and themes of the movie. 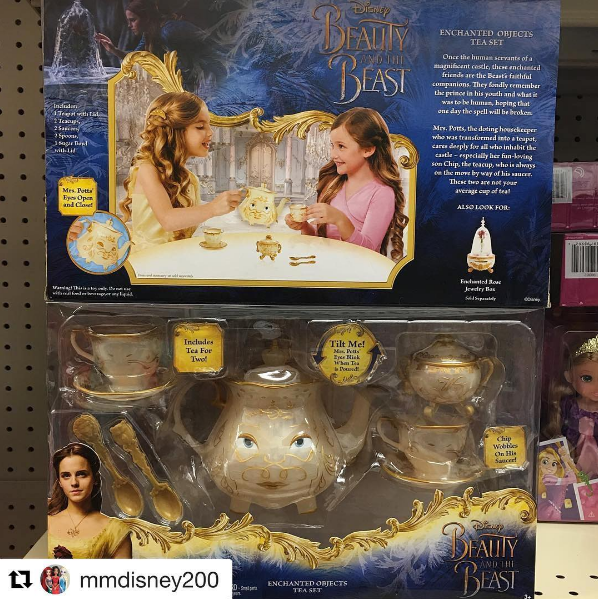 There are more images of Disney's live action Beauty and the Beast out there in the world (wild), thanks to overseas posters, displays around LA to promote the film over the busy Christmas movie period and, of course, merchandising. 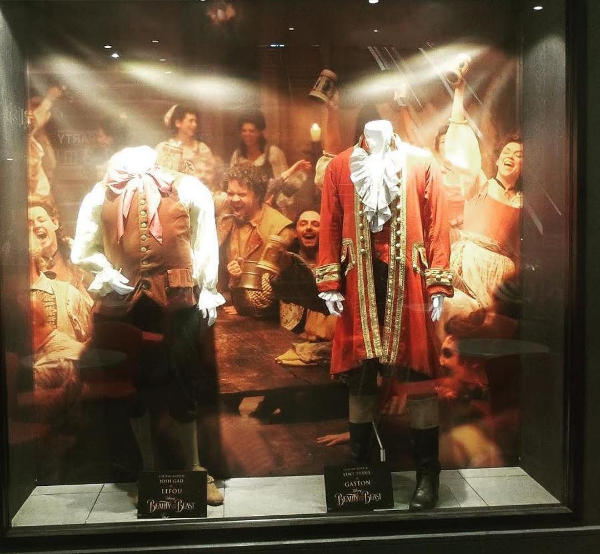 Being the holiday period, if you can it's nice to indulge in frivolous things, so here's a image roundup for those looking forward to the film to enjoy. 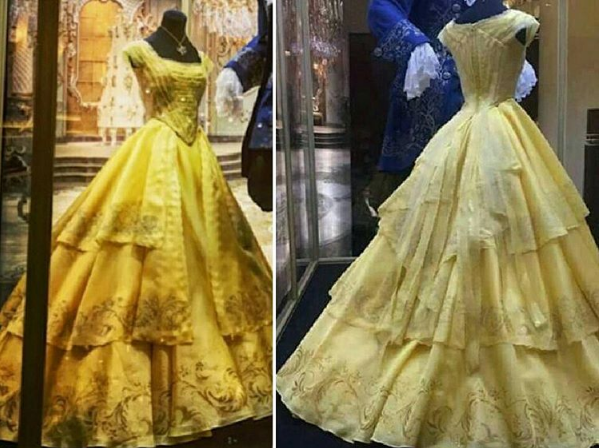 The costume display will make people who have been less-then-thrilled with Belle's yellow ball dress a little more please, we think, as well as a pic below where she's holding a (different?) 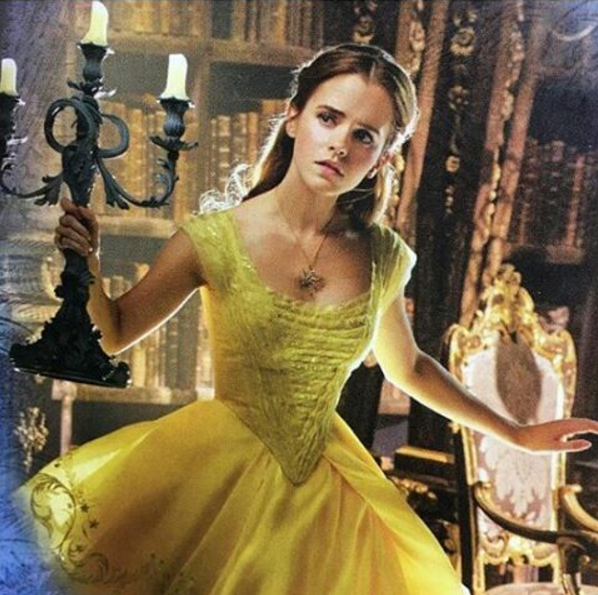 candelabra and you can see more costume/period details. First up - books! And yes, they're releasing a new version of Villeneuve's tale, with Walter Crane's gorgeous illustrations too - yay! 2. A new edition of Villeneuve's original tale classic, the current known version is based on. 5. 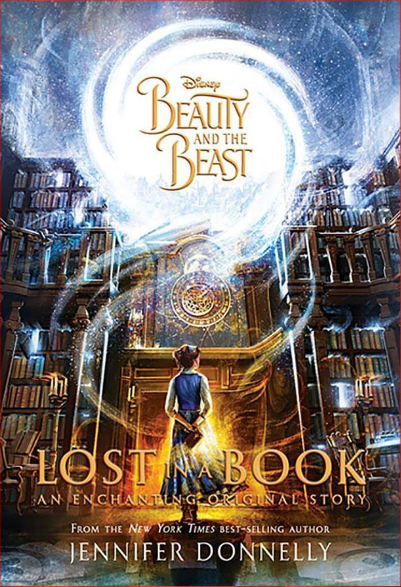 Book based on the live-action version of Beauty and the Beast. Unknown release date. 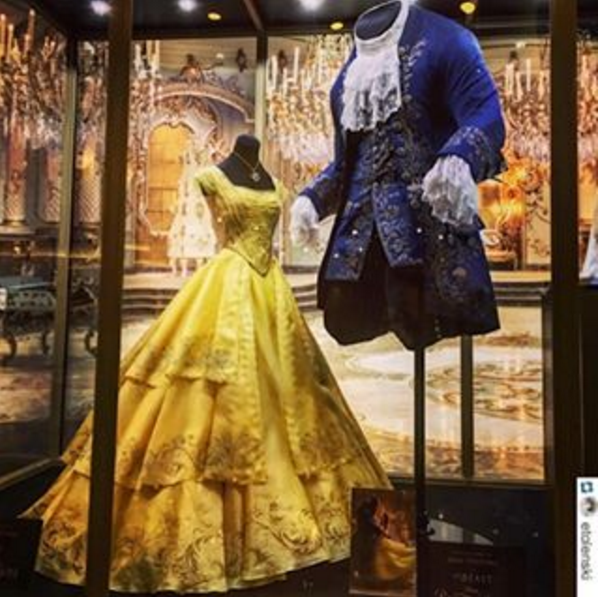 The story is an original addition to the beloved Beauty and the Beast fairytale. 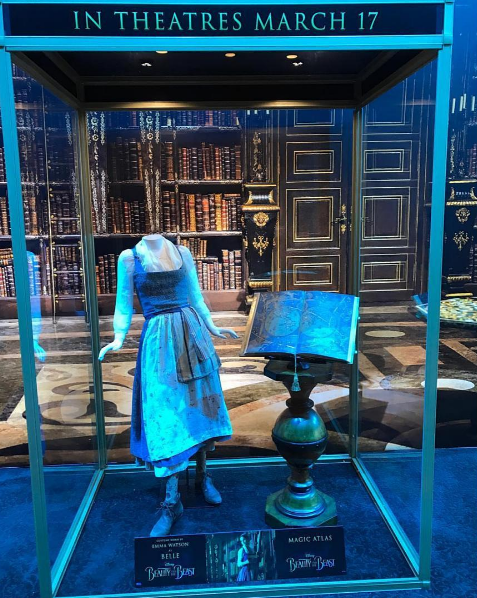 It follows lonely, bookish Belle as she finds an enchanted book in the Beast’s library called “Nevermore” that carries her into a glittering new world. 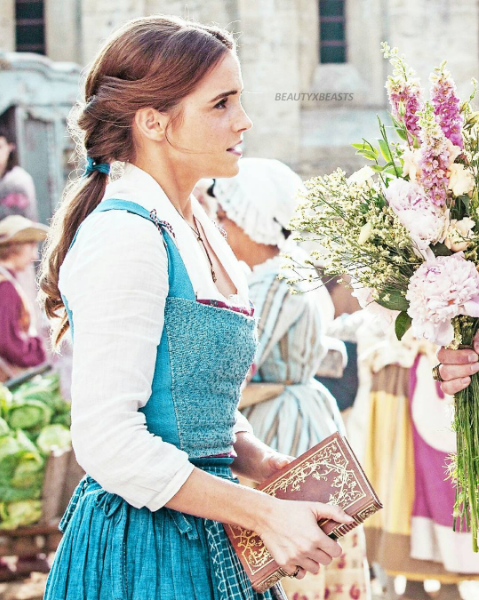 There, Belle is befriended by a mysterious countess who offers her the life she’s always dreamed of. 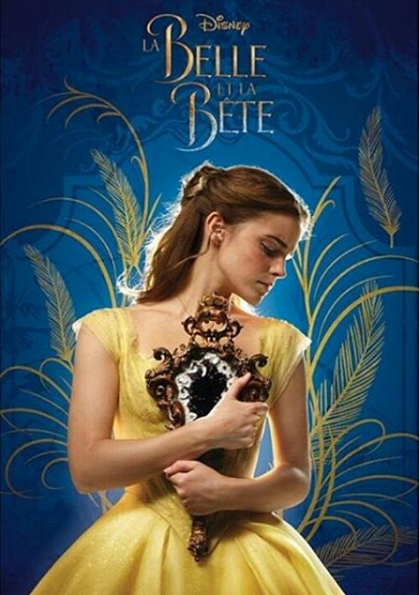 But Nevermore is not what it seems, and the more time Belle spends there, the harder it is to leave. 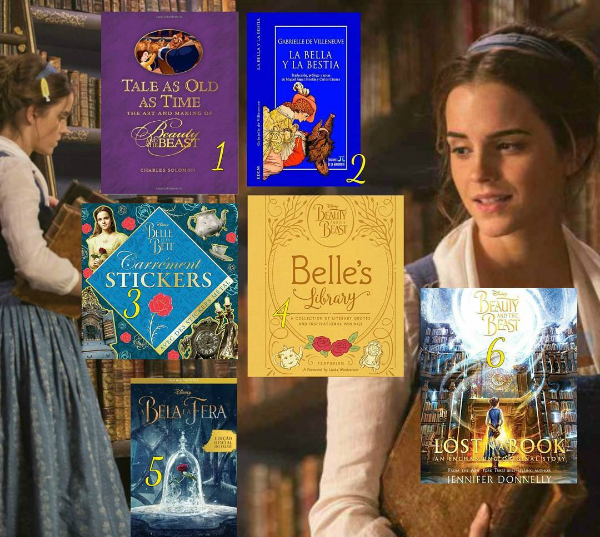 Good stories take hold of us and never let us go, and once Belle becomes lost in *this* book, she may never find her way out again. 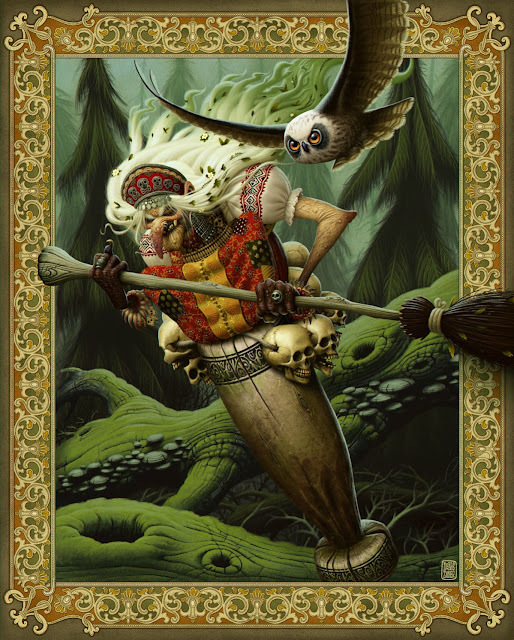 With Baba Yaga's forest often considered as "the boundary between the world of the dead and the living", it's no surprise to see her 'sisters' (as mentioned in last Thursday's post with Ms. Claus) active at this darkest time of year, manifesting on the threshold. And this is where we sit today too: on the threshold: of a New Year, of a new era, of so many decisions and resolutions. How do we shift our world view, our world affect, our experience, our reality, to make it different - even if only slightly - from what it's been thus far? How do we rewrite bad habits? 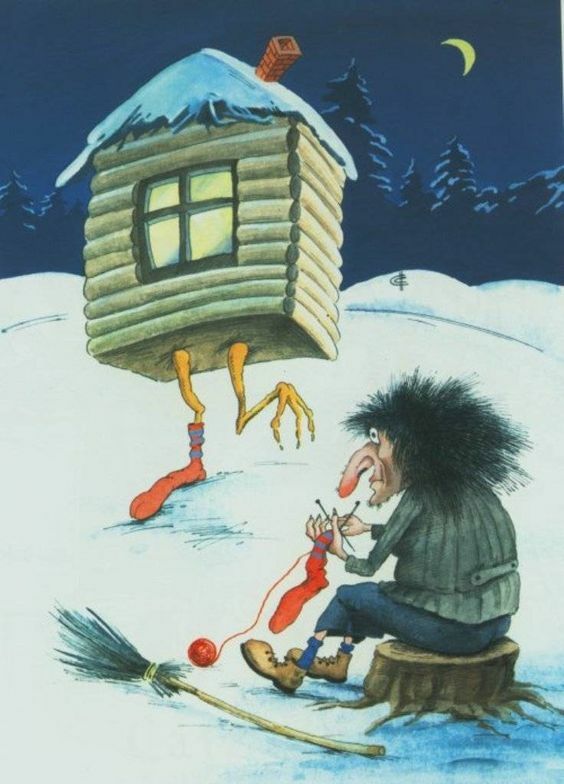 Turning to Baba Yaga seems quite the sensible thing to do. What might she offer us though? "... away from the puppet show..." Well that takes the glitter right off - which is probably the most useful New Year's advice the majority of people ever receive. There's no avoiding the hard work is there? But then, if we were honest, we already knew that. May you have what it takes - and the support - to do the work to make your 2017 better. 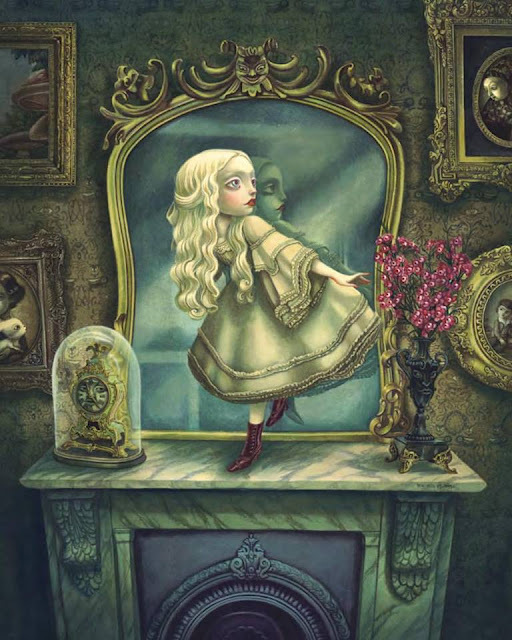 Behold the lovely trailer for Benjamin Lacombe's new book Through the Looking Glass, released the last week of November in France with this lovely promo following a week or so into December afterward. We do love how he adapt his artwork for animation so delicately. 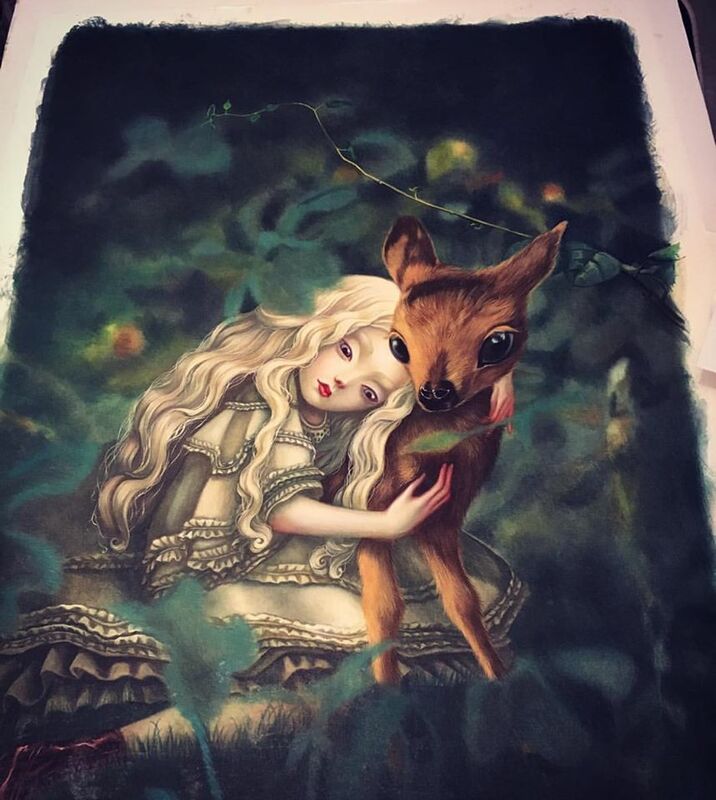 Wishing you peace, comfort and joy too for the end of the year and leaving you with this hug as we head into holiday mode here at Fairy Tale News Headquarters. 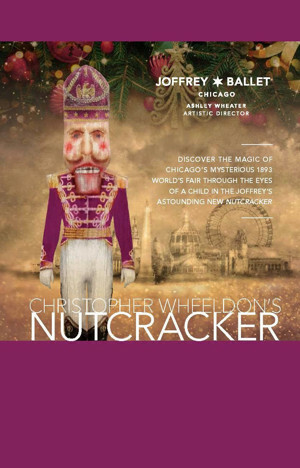 It's Nutcracker season, and while there have been a few interesting adaptations to challenge the tradition, Chicago now has its own unique variation, thanks to the Joffrey Ballet commissioning the work from Christopher Wheeldon, created out out of the history of the city itself. Unlike the usual story of privileged children getting presents and more, the heroine in this story is the child of a single, working-class, immigrant mother and the setting is the wintery Christmas Eve before the World's Fair in the late 1800's - leaving a lot of room to explore the construction of wonder and magic, as well as cultural diversity. Wonderfully, setting the production during this historical event, means it's apt and relevant that the use of technology, (such as projection art, mechanical set devices and the multi-media presentation of puppetry alongside ever changing visual wonders and 'tesla lighting'), be incorporated as part of the story telling and not just part of the stagecraft and background. 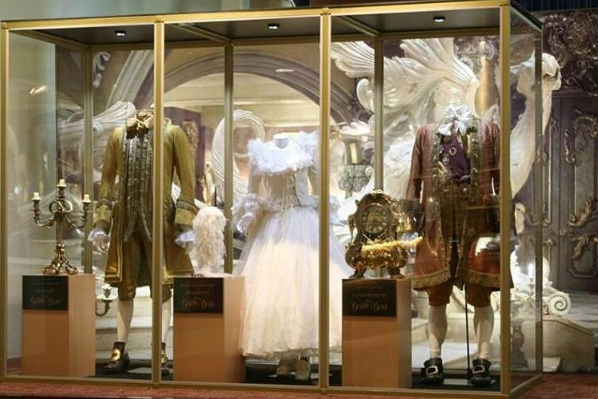 The transformations in the scenes and the characters throughout, echo the changing perspective on the world at the time, thanks to the fantastical inventions and wonders being showcased that seemed beyond imagination, wowing and influencing both workers and visitors of the extraordinary expo. 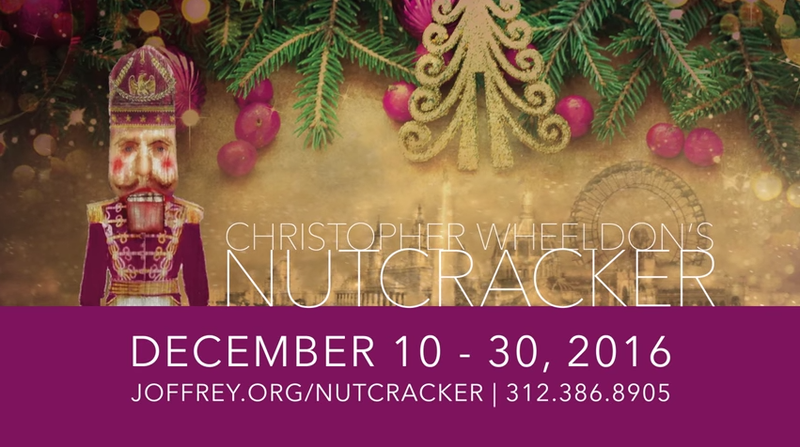 We are in theater mode from the get-go, with a clear class divide of Chicago’s rich and poor at holiday time. Tchaikovsky’s traditional living room party scene music illuminates instead an urban environment where rich and poor intersect, street urchins steal what they can from unsuspecting shoppers, and rats lurk behind every corner (Basil Twist’s whimsically diabolical puppets). 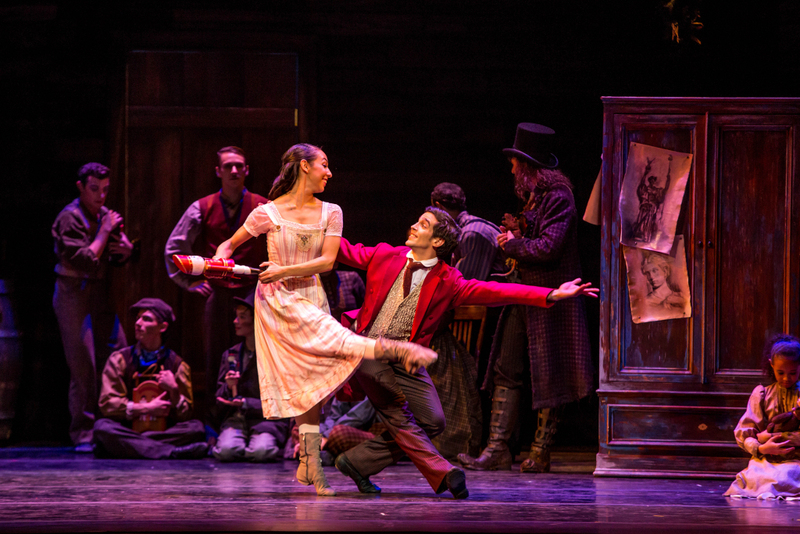 The resident Rat-Catcher (a wry Rory Hohenstein, with his own pet rodent perched on his hat) contrasts with The Great Impresario of the Fair (Miguel Angel Blanco), a magical and mysterious counterpart to Hoffman’s original Drosselmeyer. 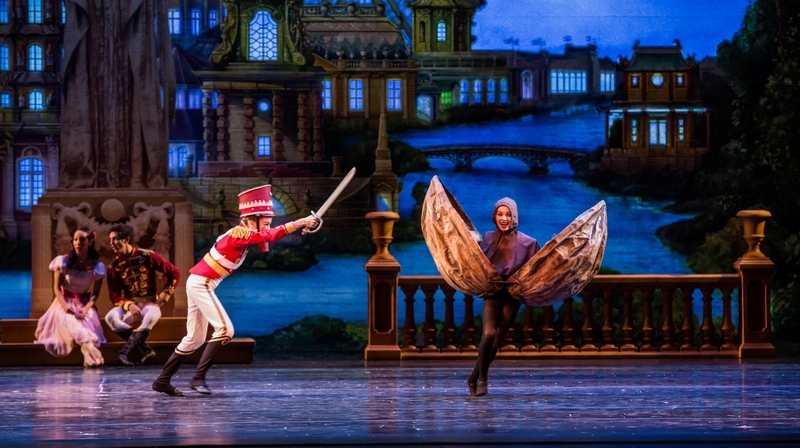 Wheeldon’s Nutcracker magic reaches a pinnacle of wonder in the transformation of the scrawny pine sapling into a friendly version of the Little Shop of Horrors Monster, completely overwhelming the stage, proscenium, and audience with its massive branches and six-foot-tall pinecones. The Rat Catcher becomes the Rat King, the battle between the rats and toy soldiers unspools with predictable humor, and the Nutcracker Prince’s victory transforms the puppet Nutcracker into the handsome Nutcracker Prince who literally sweeps Marie off her feet and into a snowy wonderland. 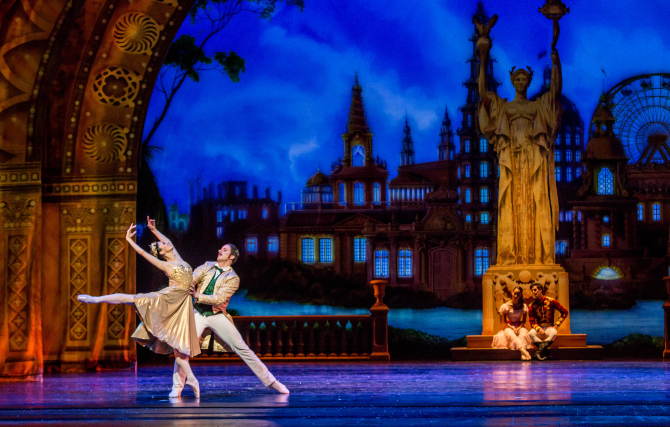 There they dance a luscious Snow Pas de Deux with elegance and charm, exuding the joy of young love. For the new Joffrey production, Brian Selznick’s story, the sets and costumes by Julian Crouch and Basil Twist’s puppetry turn out to be as crucial as the choreography. I loved learning about Chicago history from their work.There are rats, not the usual “Nutcracker” mice, and a menacing Rat Catcher. 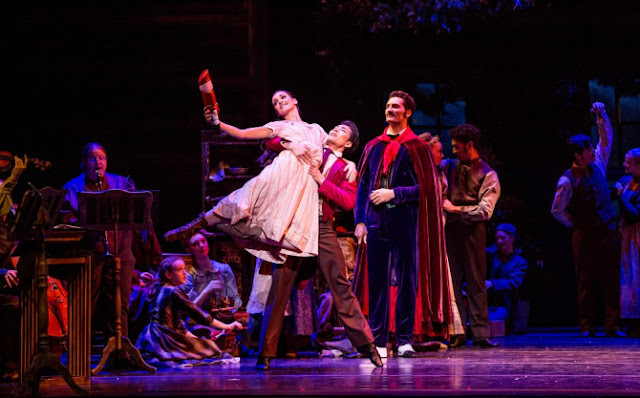 When the Christmas tree (a poor specimen) grows magically huge in Marie’s dream, it fills the stage, as if the action were occurring within its branches. 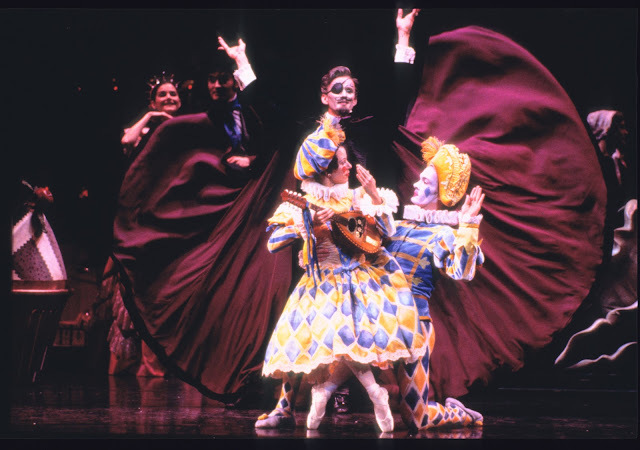 And though the rats are later played by dancers, they’re most memorable when we see them as puppets, running along upper levels of the scenery and across the floor. As usual in “The Nutcracker,” they’re defeated in a battle with the title character and his toy soldiers (some of them cavalry). From a wide range of reviews, it seems to be an adaptation that delights audiences and brings a new and different appreciation to what can often seem a fairly light and meaningless story (if you're not familiar with E.T.A. Hoffmann's original, at least). 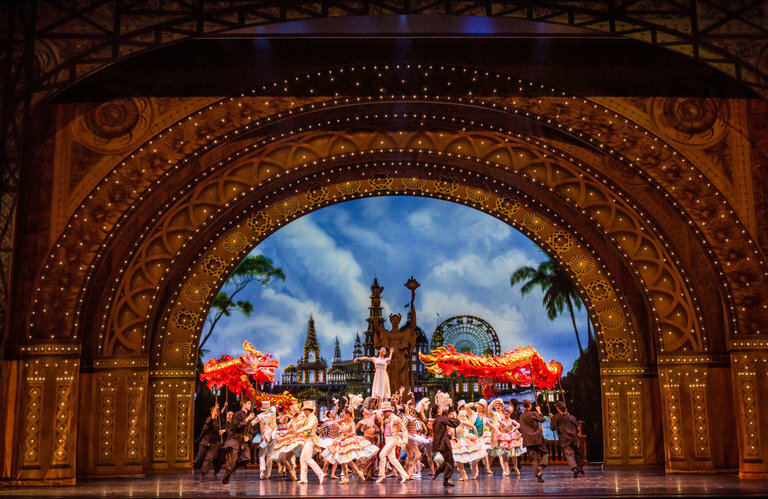 While critic reviews are mostly very positive, a few feel the work has yet to fully mature, although delight is clearly an element that frequents throughout. The success so far, since opening night at the beginning of December, indicates Wheeldon's production will now be a regular part of the repertoire, and possibly a production that other companies may embrace over time as well. 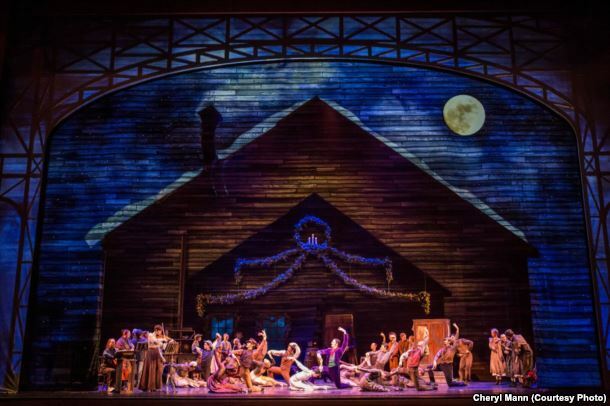 What we're very interested in, is seeing America begin to "own" it's annual tradition of the Christmas production. 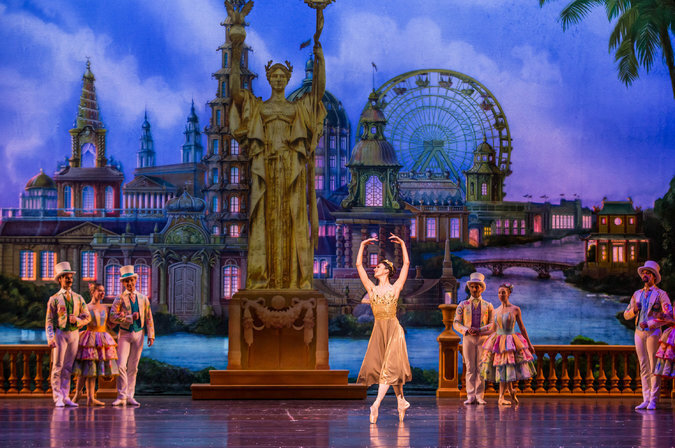 Though Nutcracker has its origins in story, music and choreography in other lands, it's the United States that fell in love with the ballet as a nation and made it a yearly tradition across the country (something that spread from San Francisco and New York to the rest of the country after Balanchine's production in the 1960's). This may be the first time, however, that the magic and wonder of the story, has been birthed out of the country in which it is celebrated. 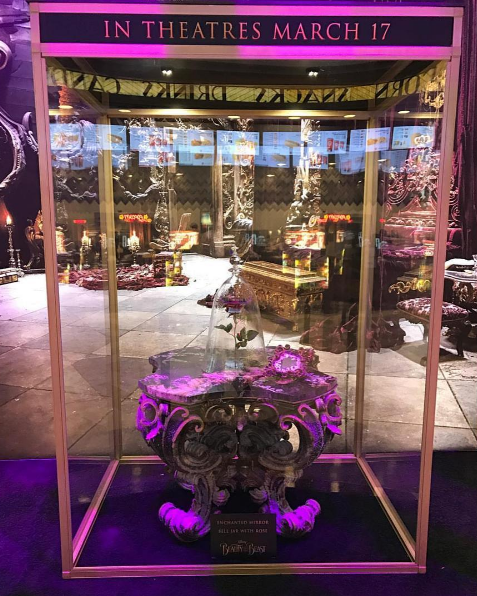 It's an evolution of the tale and tradition and we're curious to see if America will love it's own magic as much as it has loved the enchantment that tip-toed in (literally) from other lands... even as it acknowledges the magic of many lands settling in the US, making a new home. 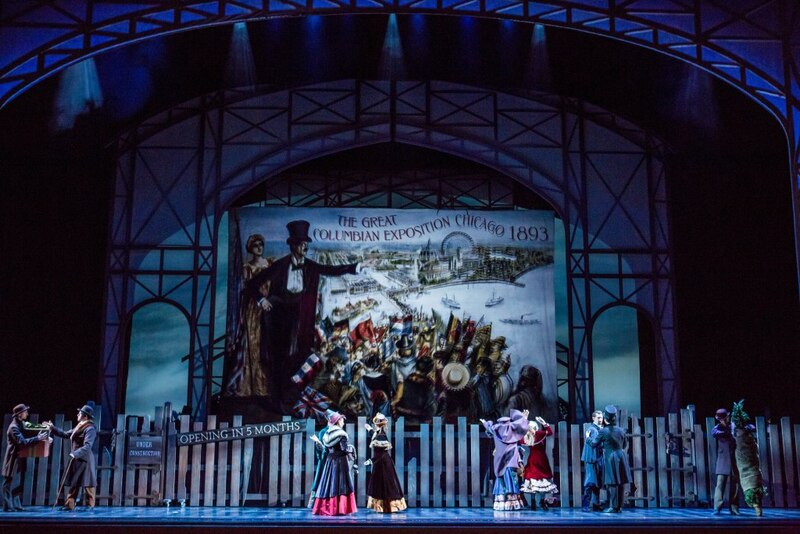 We'll finish with some delighted audience responses and more glimpses of this 'wonder-filled' production.